When you need an SUV with a little attitude and enough confidence to tackle every adventure life has to offer, there may be no better choice than a Jeep. The automaker built the entire off-road crossover segment over 70 years ago and still owns it today. For those drivers searching for a midsize SUV with bold styling, aggressive performance specifications and versatility oozing from every corner, the 2016 Jeep Grand Cherokee is the crossover to experience. If you are near the Rockwall, Commerce, Bonham, Paris, Sulphur Springs, and Tyler areas, visit us at Greenville Chrysler in Greenville to experience one of the best customer-service oriented dealerships in the entire area. We are available Monday through Saturday and ready to meet your needs. The 2016 Jeep Grand Cherokee is a head-turner in every possible way; from its sleek and stylized exterior to its luxurious and eye-catching interior; the SUV is nothing but a versatile and fun vehicle to drive. 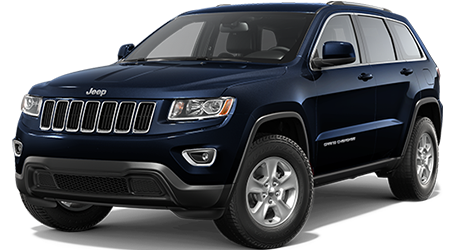 Sometimes picking a car can be easy, and if you are searching for a powerful midsize SUV, why even bother to look passed the 2016 Jeep Grand Cherokee. This option offers a little something for everyone. When you are ready to take the leap into owning a brand new Jeep, visit us at Greenville Chrysler to find out for yourself, just how great the Grand Cherokee can be. We are located at 5401 Interstate Highway 30, Greenville, TX 75402 and serve patrons from Rockwall, Commerce, Bonham, Paris, Sulphur Springs, and Tyler areas.